See parameeter määrab ketta suuruse tollides. Mida suurem on see näitaja, seda suurem on andmete maht. Mida suurem on see näitaja, seda kiiremini laetakse andmeid. Mida suurem on see näitaja, seda kiiremini välimisi andmeid edastatakse. Extremely tough. Portable Hard Drive. 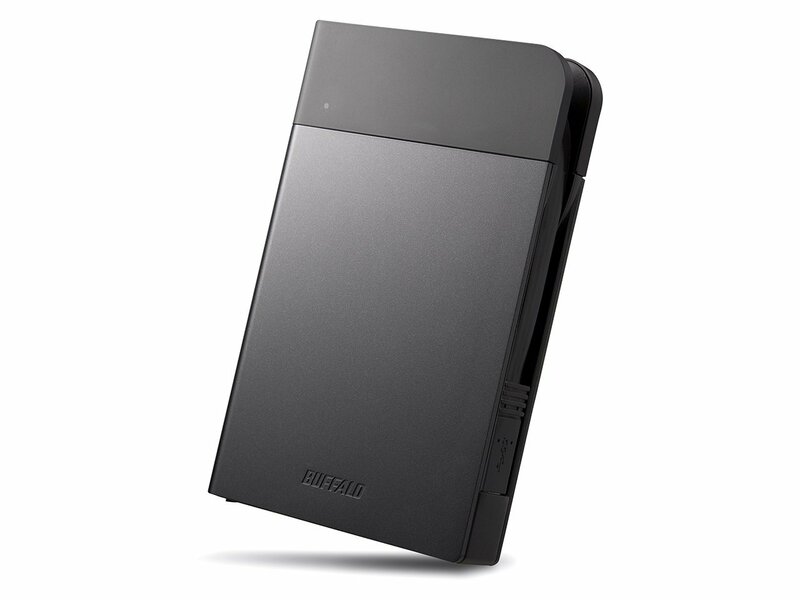 BUFFALO’s MiniStation™ Extreme offers high performance USB3.0 portable storage in a compact and sophisticated design. The internal hard drive is encased in a highly shock-resistant body with rubberised elements to protect it from accidental bumps. The ingenious arrangement of shock protection features meets the U.S. Military Standard MIL-STD-810G, METHOD 516.6, Procedure IV and has passed free-fall drop tests with drops up to 1.2 meters*. Moreover, the USB cable is integrated with the case so you will not be frustrated searching for a cable anymore! The USB 3.0 interface moves data at rates of up to 5Gbps**. This vastly reduces the time needed for data transmission, making it ideal for transferring and sharing videos, large digital photo collections, music files, and other data-intensive digital content. MiniStation Extreme is available with 500GB, 1TB or 2TB capacities. All capacities are available in black; 1TB capacity is also available in red or silver.